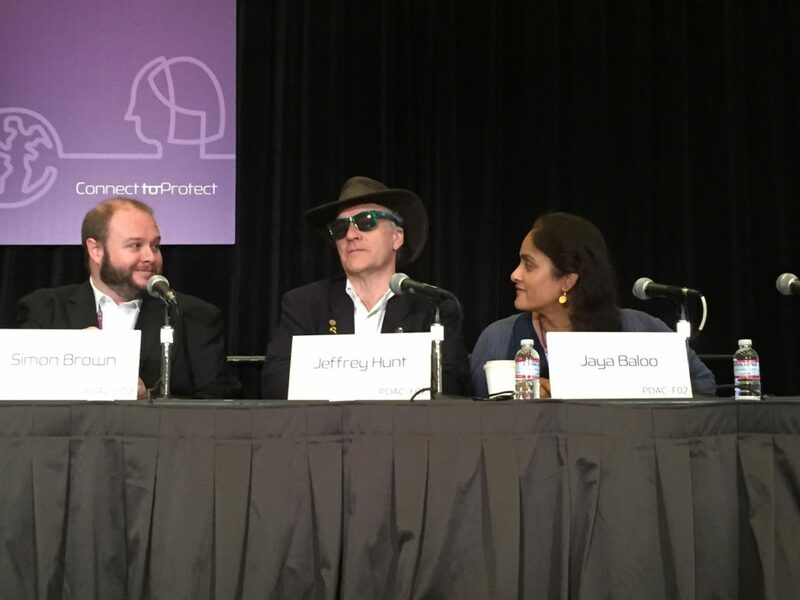 This year’s RSA Conference took place in San Francisco from February 29th to March 4th. For the first time ever, the main programme included a session on quantum technologies applied to cyber security applications. The session took place on the final day of the conference (Friday, 4th March). These Friday sessions can sometimes feel a little flat as they follow the infamous Codebreakers Bash on Thursday night and some delegates’ minds have already turned to the trip home for the weekend. I’m happy to say that wasn’t the case for this lively panel discussion; as over 200 attendees were fully engaged by our energetic panellists. The session was organised into three key themes, with time for questions from the floor between each topic. The audience more than played their role in the discussion, with some well-aimed questions for each panellist. The first topic discussed was the threat presented to cryptography by quantum computers (for more details, read our blog). As you probably know, the power of the quantum computer is based on the principle of entanglement. As Jeff pointed out, entanglement can be hard to comprehend. Einstein himself described it as “spooky action at a distance”, which, incidentally, would be a single word in German – this may be harder to imagine that the effect itself! Jaya saw the main threat to data security being the “download now, decrypt later” approach of cyber criminals; where sensitive data can be captured and stored until such time as the encryption can be broken using a quantum computer. The second theme dealt with possible solutions to the problem through the application of quantum technologies. Jaya saw these as threefold, starting with increasing the key length, then using quantum cryptography for high level security on chosen links and finally relying on post-quantum algorithms, once these become available. Simon emphasised the need for truly random numbers for key generation. A high volume of keys, changed regularly, increases the strength of the encryption by minimising the value of each key. These random numbers can be generated by quantum random number generators, now readily available. Finally, we discussed timing. Over the past year, we have seen predictions for the development of a commercial viable quantum computer come down from 20 years to less than 10. The panel agreed that the agenda behind the recent announcement by the NSA on quantum computing was not clear (see our recent blog). In any case, the need to start taking the future quantum computer into consideration was immediate. The session ended with a series of questions from the audience; ranging from the practical “Why hasn’t quantum key distribution been more successful so far?” to the more philosophical nature of entanglement and relativity. At some point we had to vacate the room for the next session, but this didn’t stop the conversations carrying on outside the room for some time. It was great to see so much interest in the world of quantum technology and we look forward to RSA hosting a similar session next year. See you there!